God's promises are in the Bible. For many years before Jesus was born, God promised to send a Savior to save us from our sins. You can read more about the Old Testament prophecies of the birth of Jesus on our Christmas in the Bible page. The Christmas story as it is usually told includes events which occurred over a period of at least 10 months, and maybe as much as 2 years. If you include the escape to Egypt, then add a few more years. The events surrounding the birth of Jesus Christ and his early days are presented below in chronological order. To better understand what happened we start the story a few months before Jesus was conceived. Unless otherwise noted, the 1984 edition of the New International Version of the Bible is used on this page. 1) This passage is often not included in the story of the birth of Jesus. But if we want to try to determine the approximate time of year that Jesus was born, then the above passage is important. 2) John the Baptist's father, Zechariah was from the priestly division of Abijah. The schedule which governed the order of priestly service in Jerusalem was delineated in the Old Testament. Relevant passages include 1 Chronicles 24; 2 Chronicles 23:8, 1 Chronicles 9:25; Deuteronomy 16:16. From this we can deduce that the division of Abijah would have been working in the temple in Jerusalem in the second week of the month of Sivan of the Jewish lunar calendar. It appears from the text that the conception took place soon after Zechariah's return home from Jerusalem. So John the Baptist was conceived probably the middle of the month of Sivan (late May - early June on our calendar). 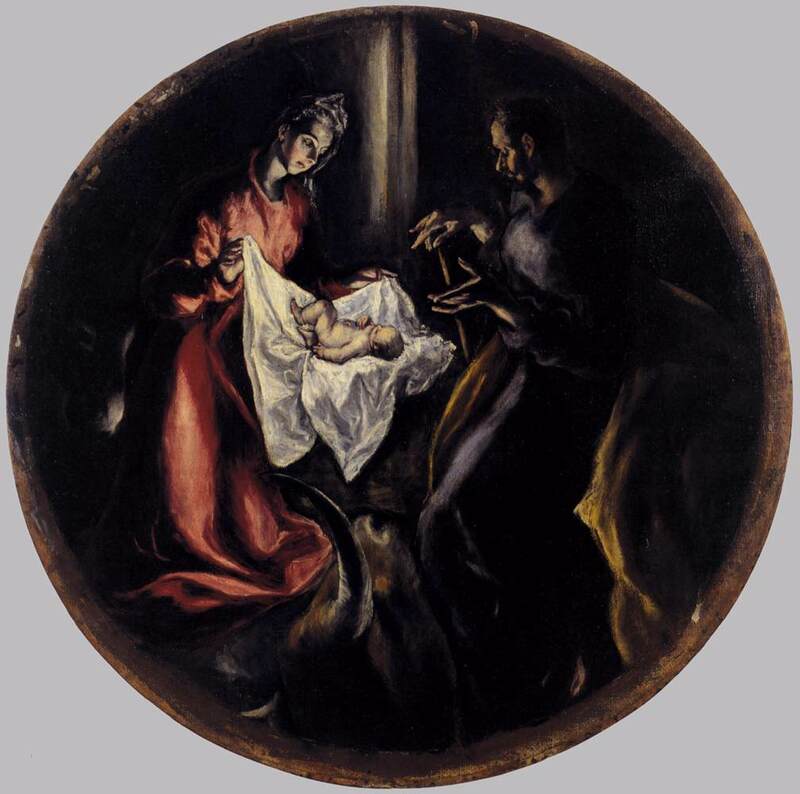 If you want to think further on this subject, an in-depth discussion can be found on this linked page dedicated to answering the question "When was Jesus born?" 3) Notice these two sentences. "When his time of service was completed, he returned home. After this his wife Elizabeth became pregnant." In truth we don't know what amount of time passed between "service was completed" and "returned home". Nor do we know exactly how much time passed between "returned home" and "became pregnant". It seems like it would have been a matter of days. But it is not precisely stated. Since our further estimations as to the time of the birth of Jesus all rest on the assumption that Elizabeth became pregnant within a few days or weeks after Zechariah completed his time of service, we cannot speak with certainty regarding the timing of the birth of Jesus. We can only say what seems most likely to be true, based on what information was given us in the text. 1) The conception and birth of Jesus was a supernatural event. Jesus was born of a virgin. Maybe your logic and reasoning and knowledge of human behavior are trying to make the Bible leave some doubt about Mary's virginity. But there is no doubt in the passage. If you believe the first verse in the Bible, ("In the beginning God created the heavens and the earth,") then it's not hard to believe that the same God can cause conception in a virgin. 2) The faith of Mary is shocking. 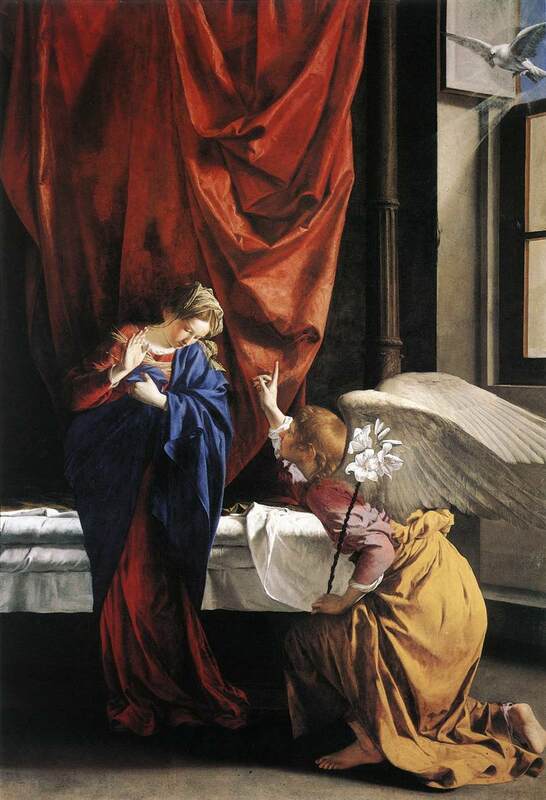 When Mary heard what the angel said, she probably instantly thought about the ridicule which she would receive. And she must have thought that Joseph would dump her. But there is no sign of hesitation, fear, or doubt on Mary's part. She just responds, "I am the Lord's servant. May it be to me as you have said." Her faith is an example to us. 3) Concerning the time of year when this conception took place, the "sixth month" is probably not the sixth month of the calendar that was in use by the Jews then. Instead it was the sixth month of Elizabeth's pregnancy. This can be understood by looking at the phrase "she who was said to be barren is in her sixth month." And also by Luke 1:24 which says, "After this his wife Elizabeth became pregnant and for five months remained in seclusion." Then two verses later it says "in the six month..." So, it seems that Jesus was conceived in the month of Kislev (November-December). From that we can add 40 weeks to approximate the time of year of the birth of Jesus Christ. 1) This passage is often not included in the story of the birth of Jesus. If we want chronological order, then we need to include it. 2) The text says that Mary hurried to go to the home of Zechariah and Elizabeth. Seems that she left almost immediately. This trip was not about hiding from shame. Her pregnant state would not have been visible yet. This was a spiritual journey. Elizabeth and Mary were very spiritual women. 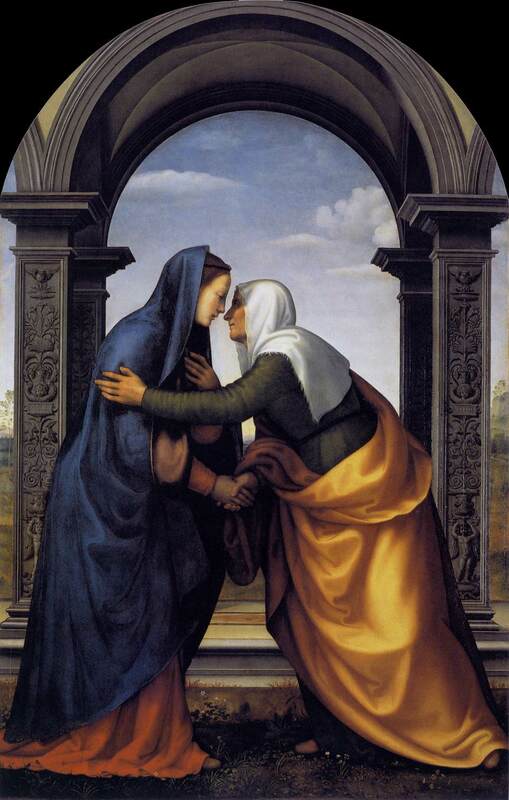 As soon as Mary got near Elizabeth, the unborn baby John the Baptist jumped in Elizabeth's womb, and Elizabeth received a special revelation from the Holy Spirit, telling her that Mary was carrying the Savior. Wow! 3) It appears that Mary stayed until John the Baptist was born. She wanted to witness with her own eyes the one who would "make ready a people prepared for the Lord." John the Baptist would be the one who would prepare the hearts of the people for the Lord and Savior Jesus Christ. Everything was falling into place for the birth of Jesus Christ, the Savior of the world. 1) Most men would have told everybody what a low-life Mary was for getting pregnant while she was off at Elizabeth's. But Joseph had made up his mind to do everything he could do to not disgrace her. 2) But then Joseph gets the shocking news about Mary's baby. "What is conceived in her is from the Holy Spirit." 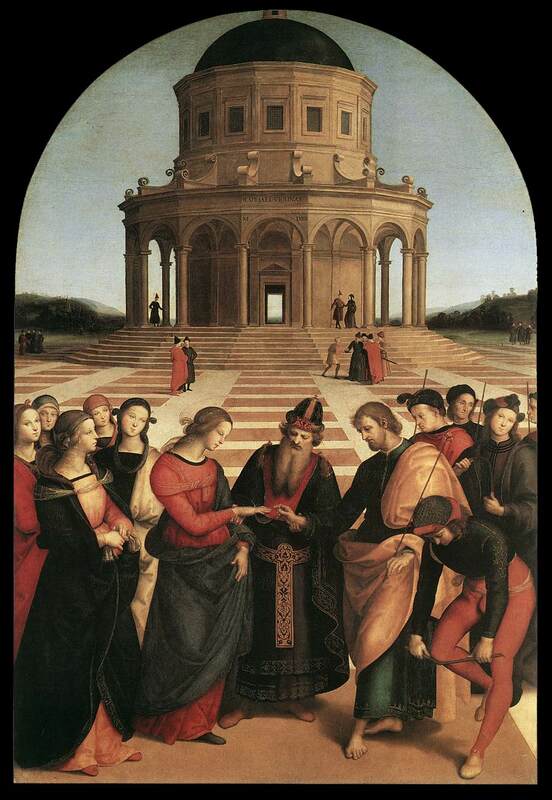 Whoa, Joseph had just been told that his wife-to-be is carrying God's child! And what does Joseph do? When he woke up he simply did what God had said that Joseph should do. Unquestioning obedience in the face of the impossible. And we'll continue to see this kind of decision-making from this guy. When God tells Joseph something, Joseph does not doubt, hesitate or waver, he just immediately obeys - no questions asked. It's no wonder that Joseph was chosen to be the guardian and helper during the events surrounding the birth of Jesus Christ, the Savior of the world. 1) If Jesus was conceived in the month of Kislev as discussed above, that puts the birth of Jesus Christ in the month of Tishri (September-October) most probably. 2) In the month of Tishri was the Feast of Tabernacles. It lasted for 8 days. (Lev 23:33-36) And every male from all over Israel was supposed to come to Jerusalem for it. (Deut 16:16) Bethlehem was like a suburb of Jerusalem, only a few miles away. So Bethlehem would have been packed with people staying there. Add that amount to the displaced people from the census and it's no wonder that Bethlehem was packed with people. As a side note about the trip from Nazareth to Bethlehem, there is no mention of a donkey used in the trip. Maybe there was one or maybe not. 3) "While they were there, the time came for the baby to be born." This phrase seems to indicate that Joseph and Mary had been in Bethlehem for some period of time before the time came for the child to be born. 4) The Greek word (kataluma) that is often translated as "inn" in English is probably not properly translated. The only other situation that it is used is in the New Testament it was translated "guest room" or "upper room" as in describing the place where the Last Supper took place. The 2011 New International Version says "no guest room available for them." So it seems that Christmas plays with Joseph wandering around trying to find a hotel room and grumpy innkeepers saying "No room" may have misinformed us. Notice that there is no mention of an innkeeper in the Bible. Joseph's extended family was right there in Bethlehem as we were told in Luke 2:4. From a general reading of the Bible we can infer that family bonds were very important in that society. So it seems that Joseph and Mary would stay at a house of a relative of Joseph. However, one might be led to wonder whether the couple might have been shunned by their family, because of the pregnancy outside of marriage. 5) Notice that there is no mention of a stable, nor a cave. What!? No stable!? And no animals are mentioned either. And no hay. A manger is mentioned. A manger is an animal's feeding trough. So the presence of the feeding trough might lead one to infer that the feeding trough was in a stable dedicated to animals, and that animals were present. Well, whatever shelter they stayed in might have been something that could be used as a stable, but most likely was not one of the free-standing stables devoted to taking care of several animals like our barns would be nor the stables on old Western movies where people kept their horses while traveling. 6) What has been found archaeologically in that area of the world is stone mangers in certain areas of homes. Apparently they would sometimes keep animals in a lower room or maybe a terrace where there was a manger made out of stone. These rooms might have been almost like caves instead of what we would think of as a room. (In today's terms think of a basement/garage combo that some people have in their homes. It's not exactly inside and not exactly outside. You might bring a pet or an injured or pregnant animal in there to be warm.) They could also use that area for people to sleep when necessary. Jesus' type of crib picture 1, picture 2, picture 3. 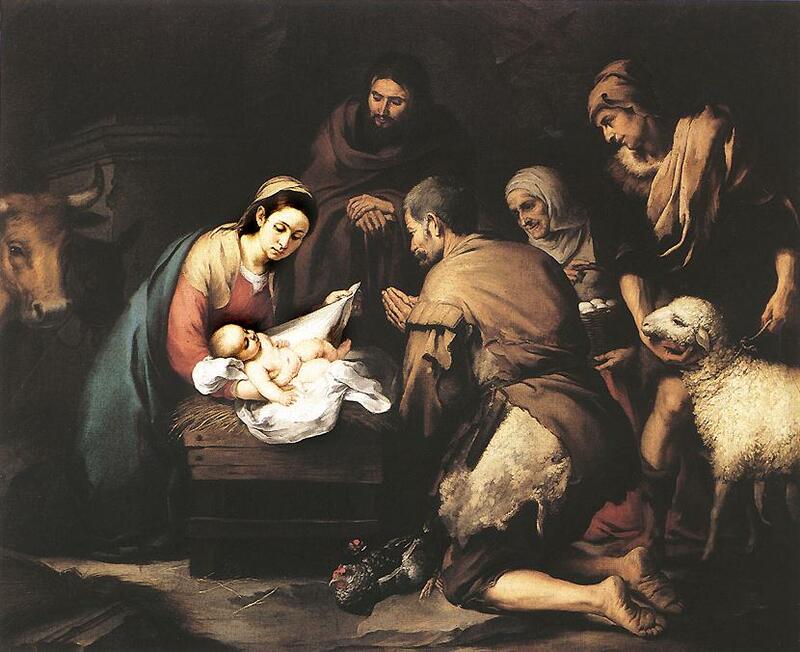 Young's Literal Translation of the Bible translates Luke 2:7 as "she brought forth her son -- the first-born, and wrapped him up, and laid him down in the manger, because there was not for them a place in the guest-chamber". Kenneth Bailey, PhD., in his article The Manger and the Inn: The Cultural Background of Luke 2:7 indicated that he believed that Jesus was born in a house of extended family of Joseph. In any case, the manger was a good place to put the newborn baby Jesus so he would be safe, warm and dry. 7) Babies loved to be swaddled. It keeps them warm and calm. The climate in the area of Jerusalem and Bethlehem is fairly warm anyway. Swaddling was and is the normal thing to do with babies in many parts of the world even today. 8) Many others have written on the question of what year the birth of Jesus took place. The question is too big to be addressed on this page. Ernest L. Martin in The Star That Astonished the World (Second Edition; Portland, Oregon: ASK Publications, 1996) ISBN 0-94-5657-87-0 does a good job of showing that Herod the Great died around 1 B.C. which would put the birth of Jesus in maybe 2 or 3 B.C. However, there is much dispute about this date, especially when combined with the phrase "This was the first census that took place while Quirinius was governor of Syria". Hundreds of people have studied this in-depth and it still continues to be argued. But we should be on solid ground by assuming that the birth of Jesus occurred somewhere between 10 B.C. and 10 A.D.
1) The shepherds were probably there within a day, most likely the same day, and maybe within an hour or two of the birth of Jesus. It's interesting to think about their being chosen of all the peoples of the earth to witness the throng of angels praising God, and then get to see the Savior. 2) Where the NIV translation says "they spread the word" it makes it seem that the shepherds went all around Bethlehem telling people. But other translations do not render it like that. For example, the more literal ESV says "And when they saw it, they made known the saying that had been told them concerning this child." So they may have just talked to people in or near the place where Jesus was born, rather than intentionally walking around town telling people like door-to-door evangelists. It seems not clear from the Bible passage. And Mary just kept quiet about it. She did not seem to want to draw much attention. Now there was a man in Jerusalem called Simeon, who was righteous and devout. He was waiting for the consolation of Israel, and the Holy Spirit was upon him. It had been revealed to him by the Holy Spirit that he would not die before he had seen the Lord's Christ. Moved by the Spirit, he went into the temple courts. When the parents brought in the child Jesus to do for him what the custom of the Law required, Simeon took him in his arms and praised God, saying: "Sovereign Lord, as you have promised, you now dismiss your servant in peace. For my eyes have seen your salvation, which you have prepared in the sight of all people, a light for revelation to the Gentiles and for glory to your people Israel." The child's father and mother marveled at what was said about him. Then Simeon blessed them and said to Mary, his mother: "This child is destined to cause the falling and rising of many in Israel, and to be a sign that will be spoken against, so that the thoughts of many hearts will be revealed. And a sword will pierce your own soul too." 1) This part is almost always left out of the story of the birth of Jesus. But if we want chronological order then we include it. 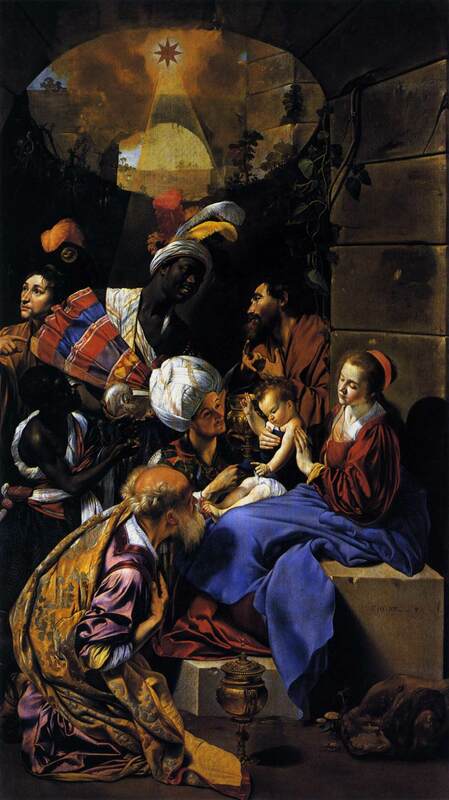 These events occurred before the visit of the Magi. And it helps us to understand some things about the timing of the visit of the Magi and the holy family's escape to Egypt. 2) Their purpose in going to the temple was two-fold. The first was to offer sacrifices for Mary. Lev 12:1-4 follows. The LORD said to Moses, "Say to the Israelites: 'A woman who becomes pregnant and gives birth to a son will be ceremonially unclean for seven days, just as she is unclean during her monthly period. On the eighth day the boy is to be circumcised. Then the woman must wait thirty-three days to be purified from her bleeding. She must not touch anything sacred or go to the sanctuary until the days of her purification are over." 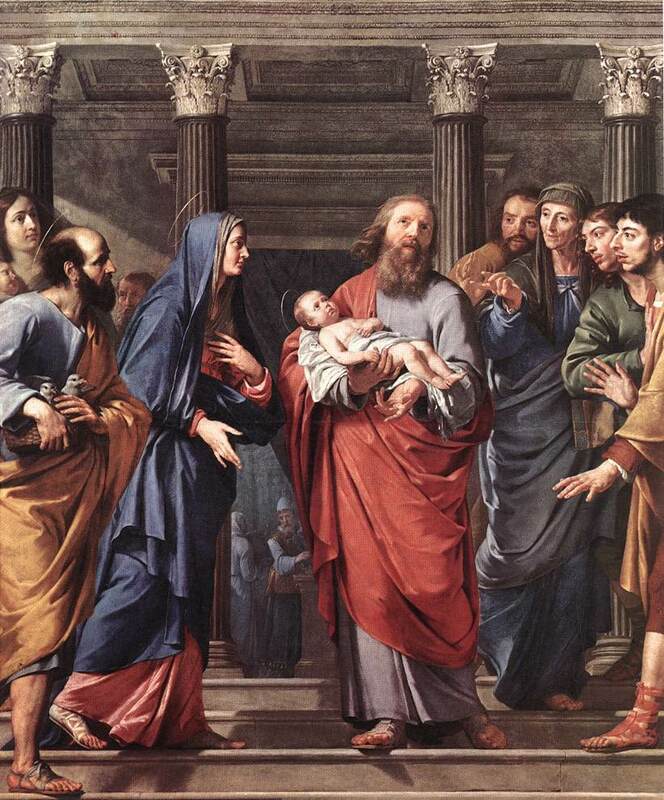 So Joseph and Mary would have been at the temple at least 40 days after the birth of Jesus. It is not exactly clear from Leviticus whether a new Israelite mother was to add 33 days to the 7 days of her ceremonial uncleanness, or start counting after the child's circumcision. So, the wait was either 40 or 41 days, with 40 days being the time span which has been traditionally thought. She would probably do it on the first day possible. 3) Mary had to make a sin offering, like every other Israelite woman in that situation. We can tell that Joseph and Mary were really poor, because they were bringing doves or pigeons. Lev 12:6-8 follows. "When the days of her purification for a son or daughter are over, she is to bring to the priest at the entrance to the Tent of Meeting a year-old lamb for a burnt offering and a young pigeon or a dove for a sin offering. He shall offer them before the LORD to make atonement for her, and then she will be ceremonially clean from her flow of blood. These are the regulations for the woman who gives birth to a boy or a girl. If she cannot afford a lamb, she is to bring two doves or two young pigeons, one for a burnt offering and the other for a sin offering. In this way the priest will make atonement for her, and she will be clean. " 4) The second purpose was to present Jesus for consecration. Every Israelite was to consecrate the first-born to the Lord, according to Exodus 13:2 and Numbers 18:14-15. 5) Notice the last sentence in the passage says, "When Joseph and Mary had done everything required by the Law of the Lord, they returned to Galilee to their own town of Nazareth." It would seem that they probably would have been staying in Bethlehem, near Jerusalem, for the six weeks of ceremonial impurity for Mary, and then made the short trip into Jerusalem. The text appears to say that as soon as they finished these important spiritual steps in Jerusalem they started the long journey to Nazareth in Galilee where they had come from. The text does not give the names of the Magi, nor even the number. The Magi were not present the night of the birth of Jesus. And they did not see him in the first six weeks. Whenever wherever however many there were we don't know with absolute certainty. We do know that the Magi found Jesus and worshipped him. They gave him extravagant gifts. There is much more to say about the Magi, as well as the Christmas star. Please visit our separate page devoted to the Christmas star and the Magi. 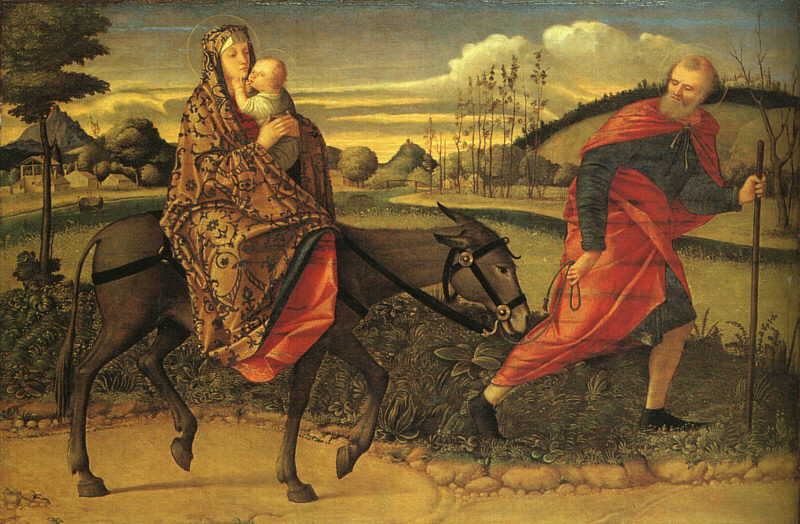 1) Joseph and family went to Egypt almost immediately after the Magi left. We see once again that Joseph did not mess around when it came to obeying God. Whatever God told him to do, he did it immediately and unquestioningly. 2) The gifts from the Magi would have provided enough money for safe passage and stay in Egypt for as long as was necessary. 4) We are sorry that we really fouled up the whole Christmas story as usually told. As we looked carefully at it, we've got no donkey for Mary to ride on to Bethlehem, no inn, no rude innkeeper, no wandering from place to place trying to find a place to stay frantically at the last minute with Mary in the midst of labor, no stable, no animals, no wooden manger, no Magi visiting Bethlehem anywhere near the time of the birth of Jesus. And if you read Christmas star and the Magi you see that we are leaning toward the idea that the Magi found Jesus in Nazareth instead of Bethlehem.